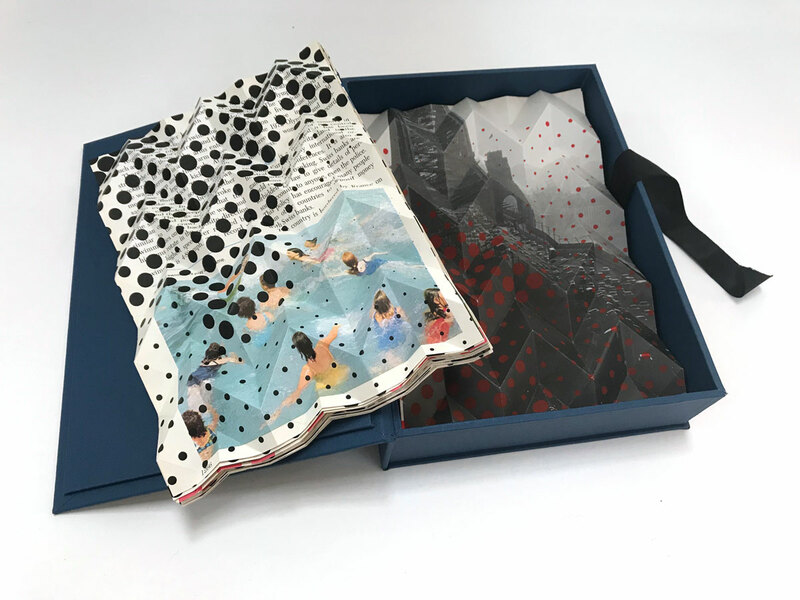 Unique altered book with screenprinted paper folds, contained in solander box. Fabric covered box with hinge lid. 100 double sided pages. 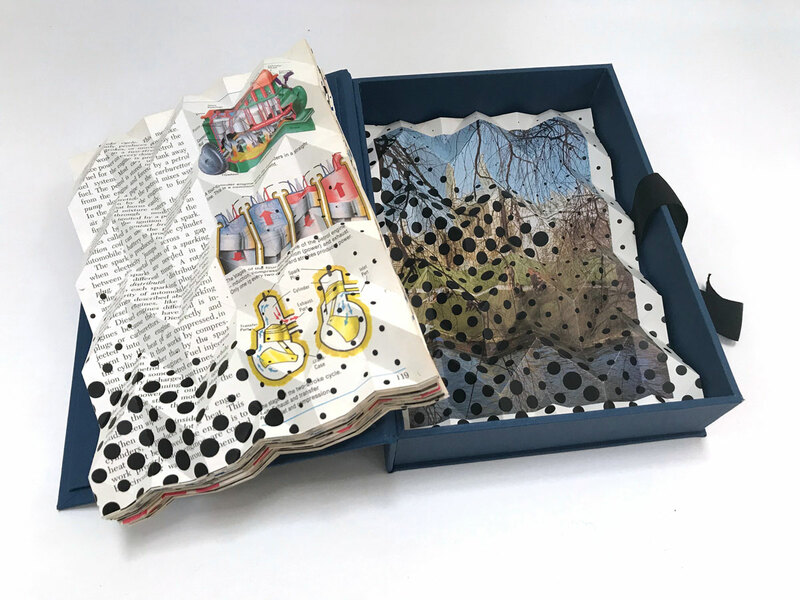 My altered book investigates mixed media practice to explore the potential of screenprinted halftone dots onto existing source material cannibalized from a set of childhood encyclopedia͛s. The magnification of halftone dots in the form of pattern is used as a printed overlay, as a means to alter text and image. 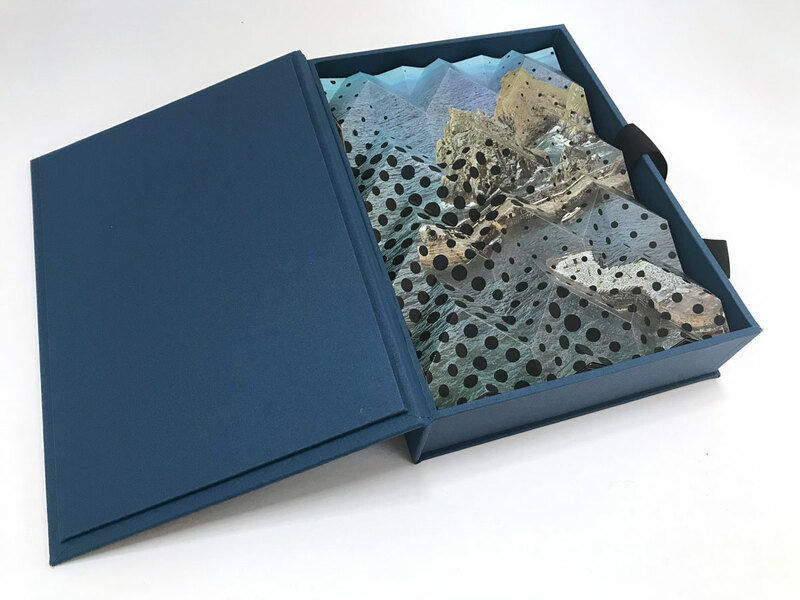 This altered book continues an ongoing interest in the interplay between identity, memory, nostalgia, connected to aura and reproduction. 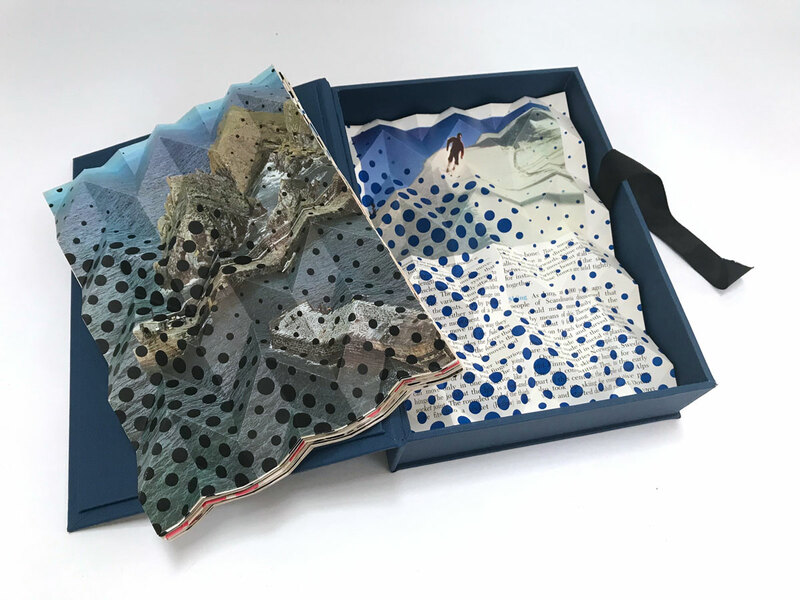 Instead of being concerned with the initial appearance of the source material, I have become intrigued by the spaces in-between the screenprinted halftone, that essentially break apart the original image with text, exploring optical effects with origami paper-folds. Disintegrating a familiar image through this magnification and overlay, cropping, folding, stacking, and boxing, creates a unique and unfamiliar perspective. 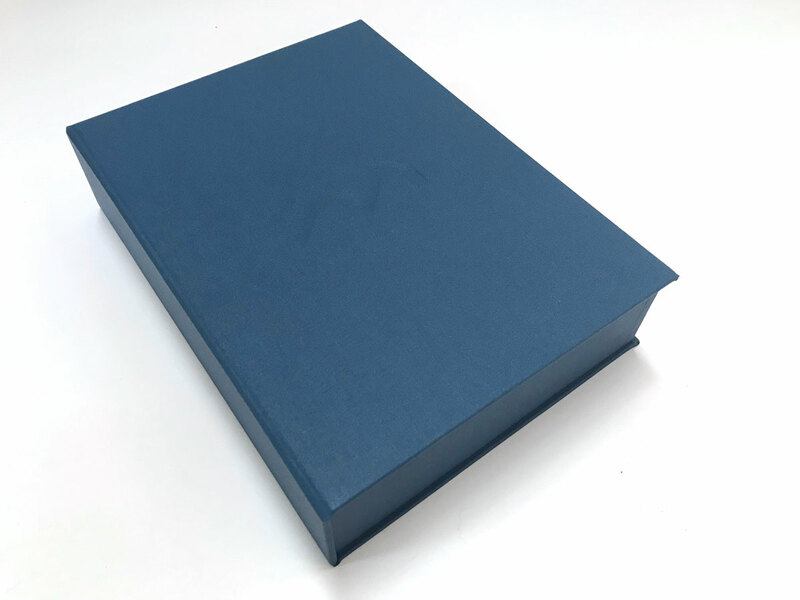 The sequential order of the altered book representational image breaking down refers to the way each time we recall an event, or a memory our brains distort it.